GPS Road Shows provide opportunities for GPS members to share their poetry and encounter other writers and practitioners throughout the state of Georgia. Usually 3-4 four GPS poets act as feature presenters, in addition to inviting local participants to read during the open mic portion. 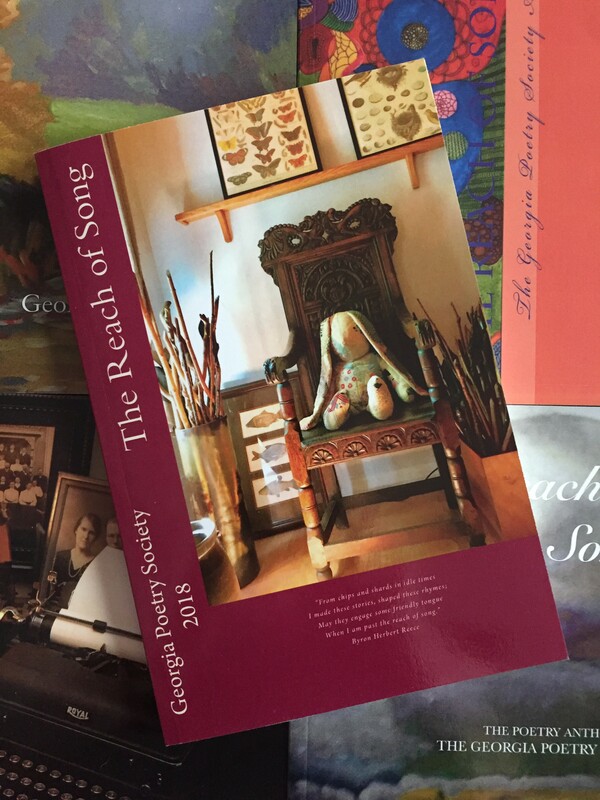 We make sure copies of the GPS anthology, The Reach of Song, are on hand for purchase. Also we bring copies of the GPS membership form. If there is opportunity, we often have lunch or snacks together for a social time over food. So far Poetry Road Shows have been held in libraries, homes, and park pavilions. However, we are not limited to repeating those venues. If you are interested in having a group of poets come to you, simply let us know. Please call Ron Self at 706-649-3080 or email smrws@aol.com.